In college I encountered a bit more interaction, where instructors solicited responses from students but I never felt that this was to encourage thought but rather to double check that either students had done the reading and were ready to offer up rote answers or to ensure that our thoughts matched those of the instructor. Really, free thinking was a moot point. Read, write, and mimic the professor in thought and deed and we would receive a passing grade. One professor in particular loved to call on us randomly (randomly as in "I'm checking up on you") and then insinuate stupidity if we did not answer with her prescribed words as offered to us in long, not-very-enthralling lectures. But through it all, I studied, learned, passed, and received a degree and became a teacher. Today's classroom expectations are quite different. Students spend much time with partners and small groups, solving problems, elaborating answers, digging deeper into text and concepts, and demonstrating understanding. From kindergarten through fourth grade, students are pretty much always ready with an answer. Some of these are short and to the point while others meander through the hinter land before landing on the targeted response. A third group is just outright confused but they try to answer, to go along to get along. but really have no clue what is going on or they just enjoy off-topic dialog. Because of the latter two types of responses plus the limited number of teaching hours in a school day, teachers often revert to calling only on students who they know know the answer or students who not only know the answer but understand how to get straight to the point. As a result, the same students take over the oral atmosphere of a classroom while the rest withdraw into silence. Calling on students randomly is one way to pull students out of their lethargic trance. When students realize that the expectation is that they are responsible for answers, they listen, formulate responses, and speak up. This is exactly what a teacher wants: students who are accountable and fully engaged. Thus class engagement means more students learning and teachers offering the opportunity to respond with personal ideas and opinions as well as rote, memorized facts. But what about the shy student who finds it so painful to speak even when s/he is fully cognizant of the answer or the student who trembles in fear that freezes response mechanisms when his/her name resounds through the room and classmates wait impatiently for a response. Here is a problem that is often ignored. Shy students sometimes can be coerced into conversation but this requires time, practice, and enhanced confidence. When the child is brave enough to speak, often the answers are wonderful and right on target, but at other times they are off base and confusing. More probing for the "right" answer may produce such but often this results in exacerbated angst. When I am wrong I grin, bite my lip, rethink, and bear. Those paralyzed by oral response fright are unable to do this and so even when they are able to adjust their answer, it comes out muddled and blurred leading to more fret and worry wrapped in the trembling hope that s/he is never called on again. Yes, in life there are times when we each must stand up and respond, but how about, with younger students, seeking some other options. Working with a partner is often a nice remedy. With a partner, trust is built through working together and formulating answers plus there is the opportunity to practice a response in a small arena with a reliable ally. Partners can signal "We have it" or "We need more help" without the humiliation of a blurted answer and potential ridicule. Partners can combine to make a small group. With assigned roles and clear expectations, each group member knows and understands response responsibilities. Again practice in a safe group, practicing a response while expanding it based on the input of other team members, builds confidence. Small group might move to one-third or half of the class, steadily extending the audience while building poise and self-assurance for quiet students along the way. Written responses on paper, dry erase boards, posters, and signs also offer alternatives to public speaking. 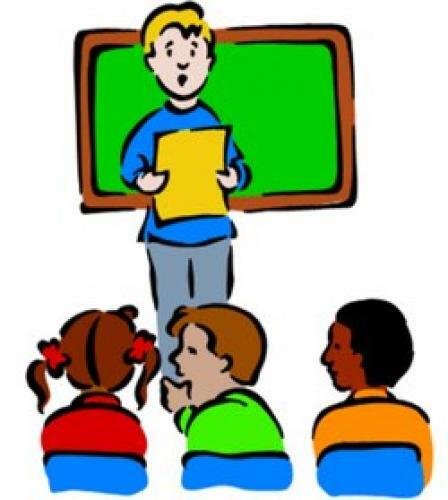 Using a variety of tools to generate speaking ease while building faith in the individual create the opportunity to state the facts or voice an opinion under safer conditions and the teacher and classmates are still able to recognize knowledge or need of re-teaching or review. Some people will never be able to respond publicly without trepidation and quivering knees, but there is no reason that a fifth grader or sophomore should suffer shame simply because an oral response is a trial. There are other routes that are more secure.